There are a lot of games in the competitive scene. 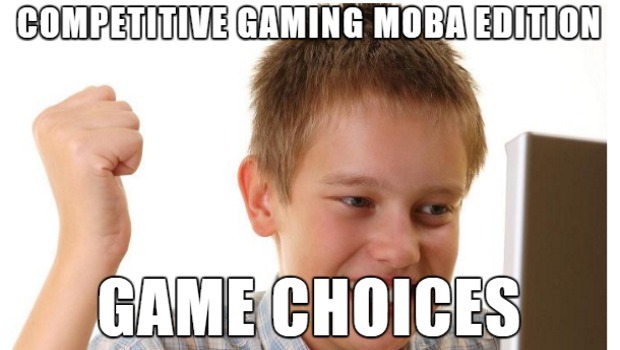 They range from first person shooters to 2D Fighters and now, the MOBA is the most popular competitive gaming genre. Because of the massive success of DOTA 2‘s 10 Million Dollar World Championship’s and the extravagant event put on by Riot Games for League of Legends in South Korea people are wanting to get into the competitive scene. This is a small list of the MOBA’s that have year-round tournaments and are popular for their competitive scene. This list of games is restricted to MOBAs so games that are involved with EVO or Starcraft II will not be included. From my search and personal experiences, I found only three games that really fit the bill for highly competitive MOBA play. The genre is flooded right now. Some games have died (Guardians of Middle Earth) while the other 70% are still in beta. This list is in no particular order. The obvious choice and go-to game for many MOBA players. The game is casual enough to pick up, but mechanically challenging to become a skill driven game. Riot Games does what they can to keep the game balanced but every patch brings something new to the table and it brings in a new meta. 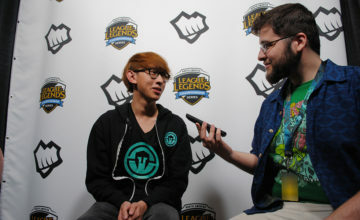 There are a lot of aspects to learn about League of Legends and you must have advanced knowledge of how the game plays to climb the ranked ladder. 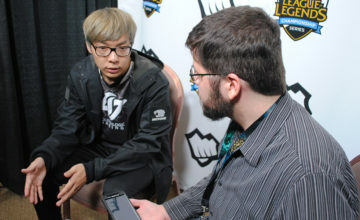 The recent Season 4 World Championship hosted in Korea is pretty much proof that League of Legends isn’t “just a game”. You should play League of Legends if you want a game that is totally free to play. 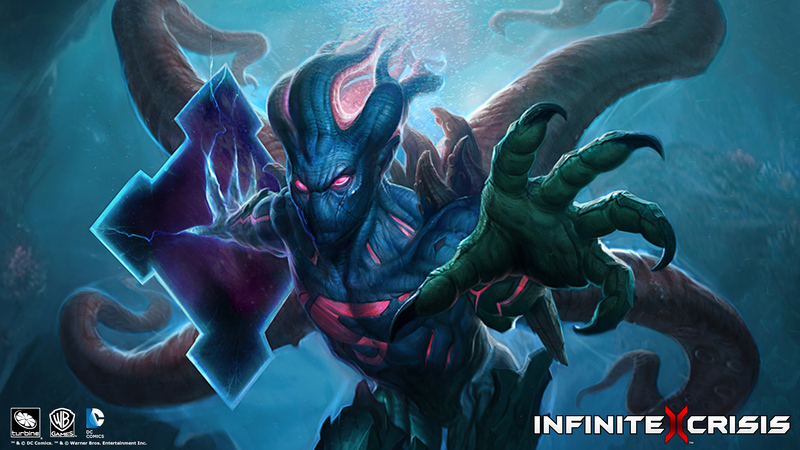 It will be tougher to climb the ranked ladder without plenty of rune pages, and buying those with “IP” (LoL’s in-game currency) can take some serious grinding when you factor in champion IP purchases and runes to fill those pages. It can be done, but it will certainly take a very long time. It is also the most popular game in the genre so you know that finding a game will be easy and quick. The forums for the game are also a pretty good place for finding new people to recruit for your team. Some downsides include the obligatory toxic community. They are everywhere in this genre and LoL has some of the rudest people in gaming. It gets worse when high level players make new accounts (smurfing) and get mad at new players for learning the game. Those first 10 levels are not too bad, but I would have to say anything after level 20 and in ranked games you will always have that one guy who will not let it go. Defense of the Ancients was the game that pioneered the MOBA genre. Valve bought the rights and brought the game to Steam. It has been a pretty massive success and the World Championships were even broadcast on ESPN. DOTA 2 is also 100% free to play and every character is unlocked from the start. There are plenty of guides for how to play and build each champion in Steam’s community forums, people can be a bit more harsh when it comes to new players though. It’s mechanically challenging and one of the harder games to learn and master. High level play has people running gold calculations in their head and they keep track of enemy ability timers as well as their own. It is a very fast paced game when compared to other MOBA’s. 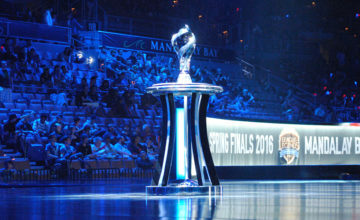 You should play DOTA 2 if you do not want to buy into the League of Legends hype. The characters are really cool and they have a lot of customization available. You can even change the announcer voice and HUD for your game. They aren’t game changing and massive, but it is the little things. It certainly has a different meta and play style from League and people who want a more tight knit environment should take a chance on DOTA 2. Downsides include the obvious rude community. I personally have not experienced too much toxic behavior, but I have seen/heard some stories. The game is also kind of hard to get into early on. 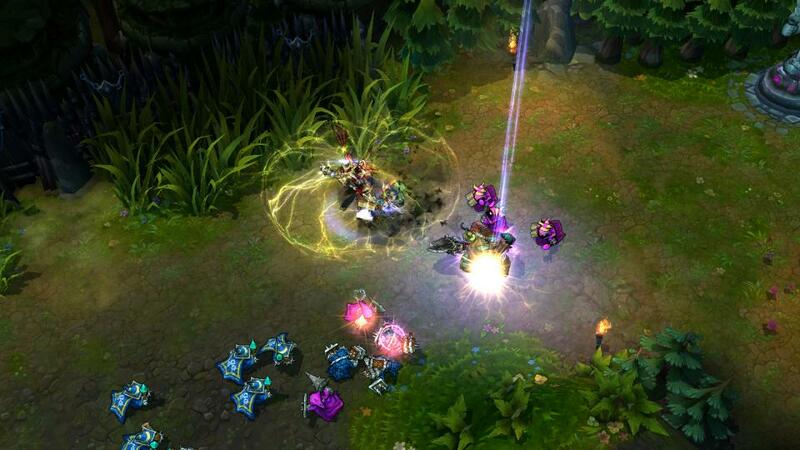 League of Legends has a progression system that eases you into the game. DOTA 2 kind of throws everything at you all at once with a massive roster, Secret Shops with exclusive items to purchase, chests and keys you get after games, skin items etc. 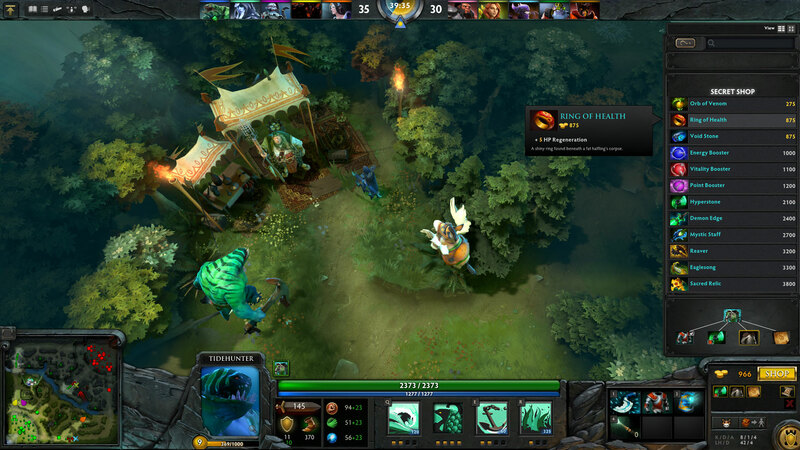 There is a lot to DOTA 2 and it can be overwhelming. The third and final game is Hi-Rez Studios’ (Tribes Ascend) SMITE. The third-person MOBA has been outside of open beta for some time now and it is going strong. You play as different gods from Norse and Greek mythology to Egyptian and Mayan gods. The game is pretty fun with daily unique game types to play so you rarely play the same thing twice. The free currency is also easier to obtain in this game with at least 5 “First Win of the Day” opportunities. Obviously the game has a three lane map to play on and the meta is somewhat similar to LoL, but due to the viewpoint restrictions, the map is vertical instead of isometric. 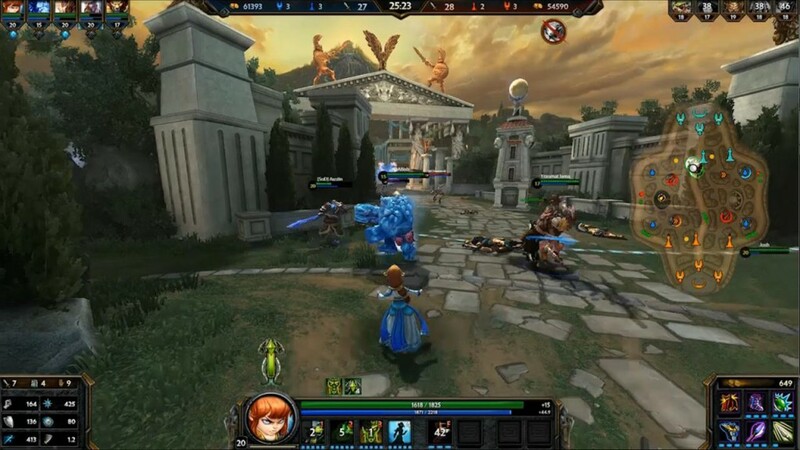 You play SMITE very differently from the other MOBA’s on the market and it works surprisingly well. The art direction is great and the characters are incredibly diverse. SMITE does a great job of easing a new player into the game with a healthy amount of tutorials and an Auto-Buy system for items and an Auto-Level system for skills. The overall atmosphere of SMITE is much different compared to the other two games on this list and fans of the genre should at least give it a try. It is very easy to pick up. Some downsides include people going AFK more than usual. Especially when you first start playing. I experience AFK players in SMITE more than any other MOBA and it is tough to play when every other match is a 4v5. The game is always running some kind of event to keep you interested in new skins or new gods to play as. The game is in open beta now and Lord of the Rings Online developers, Turbine, are working with DC Comics and Warner Brothers to make a DC Comics MOBA. The game has its own story and even it’s own comic book. The visuals are not too bad, but still have that “Beta” level of look. The longer the game is out the better it will look and the bigger the roster. New characters are released every three weeks with new patches coming out almost every week to keep bugs minimal. The game borrows a lot of the same basic mechanics that MOBAs use these days but the game stays original with the item system, Augments/Mods and Superpower Spells. The game is being made with a competitive environment in mind and there have been a few small tournaments held by Turbine already. It’s worth a try, and at the very least it’s something to play during the League of Legends off season. The game has a pretty small player base right now so expect some longer queue times during the morning and very late night.